This is the perfect opportunity for all of you beer lovers to try and guess 7 countries that make the best beer in the world. Some of you may be in for a surprise and others will probably yell out: “Germany!! They have the greatest festival dedicated to beer”. Well, let’s wait and see. We’ll start with the ultimate truth supposedly said by Benjamin Franklin: “Beer is living proof that God loves us and wants us to be happy”. Hard to disagree, especially when you look at the facts. Beer is considered to be world’s oldest and most consumed alcoholic beverage. If this wasn’t surprising enough for you, notice that the beer is just behind water and tea when it comes to most popular drinks. That’s what makes beer production a very lucrative business. According to the rough estimation, global beer market revenues in 2015 were a staggering 522 billion $. The countries with the biggest beer consumption are the Czech Republic, Ireland and Germany. The historical significance of beer (and how serious Germans are about it) is proven by the oldest food quality law still in use today. On the beginning of the 16th century, William IV, Duke of Bavaria, adopted the Reinheitsgebot or purity law which said that “only allowed ingredients of beer are water, hops and barley-malt”. Seeing this much dedication in everything they make, it doesn’t surprise us that Germany is also one of the 7 countries that make the best guns in the world. Sometimes people like to justify their love for beer in a most unusual ways. One of the excuses you’ve all probably heard is that the beer is good for your health. The recent studies showed that there is some truth in those claims. But there is a catch. The beer can be healthy when consumed in moderate amounts. It means that the beer won’t get healthier if you drink a six–pack every day. It will probably get you fired from work and destroy your marriage. 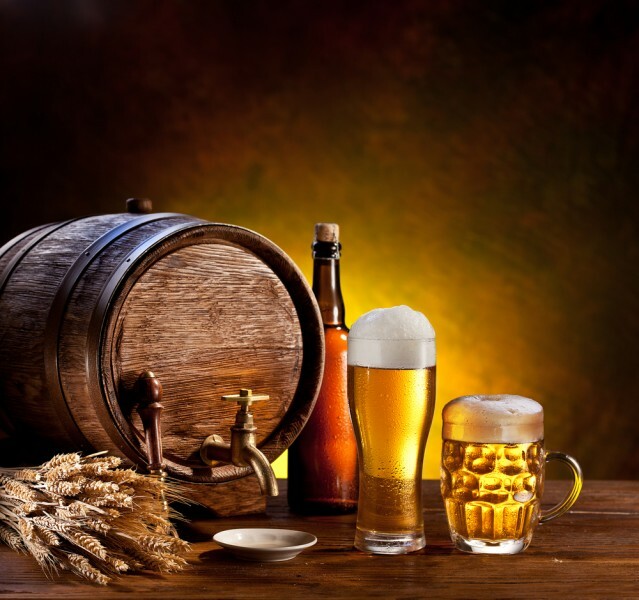 To get the insight in 7 countries that make the best beer in the world, we have done an all-around research and found lists about top rated beer countries from Askmen, Yahoo and The top tens made by beer experts, journalists or voted by beer enthusiasts. Since there is a great amount of quality in quantity, we took a list of countries that produce the most beer as well. Each country on those lists was awarded points from 1 to 10 based on their position. As an extra value, we took a list of most preferred beer brands voted by internet users and awarded each country 1 point for every beer brand it had on the list. After summing the points into our Beer Score, we got the final ranking.